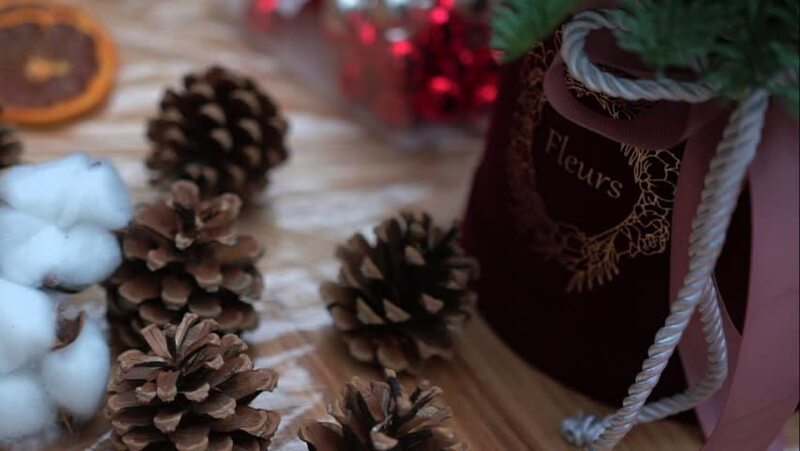 Pine cones, cotton ball flowers, dry orange slices and christmas composition in gift box on plastic wrap, close-up. Supply for handcrafted decorations on wooden table. Christmas holiday atmosphere. hd00:30Pine cones, cotton ball flowers, dry orange slices and christmas composition in gift box on plastic wrap, close-up. Supply for handcrafted decorations on wooden table. Christmas holiday atmosphere. hd00:25Christmas composition: pine tree branches, pink and silver christmas tree toys and cotton flower balls in gift box on plastic wrap, close-up. Craft supply for handcrafted decorations on wooden table. 4k00:35Close up footage of various exotic spices on wooden table. Selective focus. Panning to the right. 4k00:09Close up scene VDO of red gift box, camera move around gift box, beautiful ornament beside it, concept for special time or celebration. 4k00:07Close up footage of various exotic spices on wooden table. Selective focus. Panning to the left.